Musical evening, combination of classical music and light classical music. Ranjani and Gayatri are well known for their rendition of abhangs, in addition to being top notch carnatic singers. 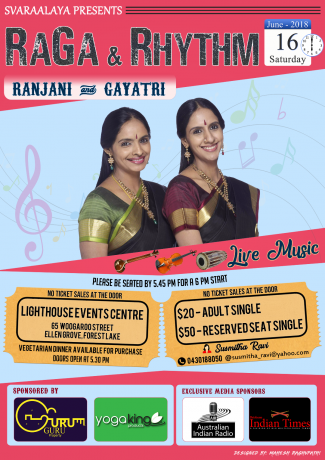 A concert not to be missed to enrich the Indian Carnatic Culture in Australia!